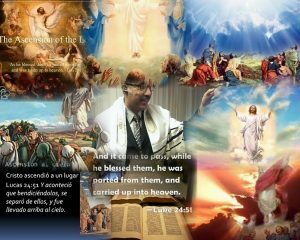 1 THE book of the generation of Jesus Christ, the son of David, the son of Abraham. 2 Abraham begat Isaac; and Isaac begat Jacob; and Jacob begat Judas and his brethren; 3 And Judas begat Phares and Zara of Thamar; and Phares begat Esrom; and Esrom begat Aram; 4 And Aram begat Aminadab; and Aminadab begat Naasson; and Naasson begat Salmon; 5 And Salmon begat Booz of Rachab; and Booz begat Obed of Ruth; and Obed begat Jesse; 6 And Jesse begat David the king; and David the king begat Solomon of her that had been the wife of Urias; 7 And Solomon begat Roboam; and Roboam begat Abia; and Abia begat Asa; 8 And Asa begat Josaphat; and Josaphat begat Joram; and Joram begat Ozias; 9 And Ozias begat Joatham; and Joatham begat Achaz; and Achaz begat Ezekias; 10 And Ezekias begat Manasses; and Manasses begat Amon; and Amon begat Josias; 11 And pJosias begat Jechonias and his brethren, about the time they were carried away to Babylon: 12 And after they were brought to Babylon, Jechonias begat Salathiel; and Salathiel begat tZorobabel; 13 And Zorobabel begat Abiud; and Abiud begat Eliakim; and Eliakim begat Azor; 14 And Azor begat Sadoc; and Sadoc begat Achim; and Achim begat Eliud; 15 And Eliud begat Eleazar; and Eleazar begat Matthan; and Matthan begat Jacob; 16 And Jacob begat Joseph the husband of Mary, of whom was born Jesus, who is called Christ. 17 So all the generations from Abraham to David are fourteen generations; and from David until the carrying away into Babylon are fourteen generations; and from the carrying away into Babylon unto Christ are fourteen generations. 18 For if I build again the things which I destroyed, I make myself a transgressor. 19 For I through the law am dead to the law, that I might live unto God. 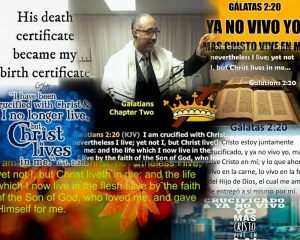 20 I am crucified with Christ: nevertheless I live; yet not I, but Christ liveth in me: and the life which I now live in the flesh I live by the faith of the Son of God, who loved me, and gave himself for me. 21 I do not frustrate the grace of God: for if righteousness come by the law, then Christ is dead in vain. 3 O foolish Galatians, who hath bewitched you, that ye should not obey cthe truth, before whose eyes Jesus Christ hath been evidently set forth, crucified among you? 2 This only would I learn of you, Received ye the Spirit by the works of the law, or by the hearing of faith? 3 Are ye so foolish? having begun in the Spirit, are ye now hmade perfect by the flesh? 4 Have ye suffered so many things in vain? if it be yet in vain. 5 He therefore that ministereth to you the Spirit, and worketh miracles among you, doeth he it by the works of the law, or by the hearing of faith? 6 Even as Abraham believed God, and it was accounted to him for righteousness. 1 THE beginning of the gospel of Jesus Christ, the Son of God; 2 As it is written in the prophets, Behold, I send my messenger before thy face, which shall prepare thy way before thee. 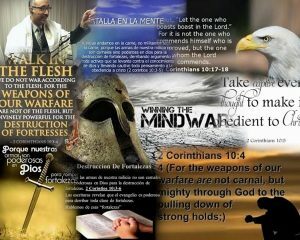 3 The voice of one crying in the wilderness, Prepare ye the way of the Lord, make his paths straight. 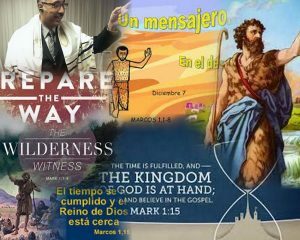 4 John did baptize in the wilderness, and preach the baptism of repentance efor the remission of sins. 5 And there went out unto him all the land of Judaea, and they of Jerusalem, and were all baptized of him in the river of Jordan, confessing their sins. 6 And John was clothed with camel’s hair, and with a girdle of a skin about his loins; and he did eat locusts and wild honey; 7 And preached, saying, There cometh one mightier than I after me, the latchet of whose shoes I am not worthy to stoop down and unloose. 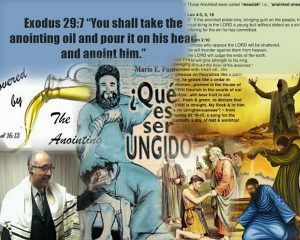 8 I indeed have baptized you with water: but he shall baptize you with the Holy Ghost. These are the words which I spake unto you, while I was yet with you, that all things must be fulfilled, which were written in the law of Moses, and in the prophets, and in the psalms, concerning me. 45 Then opened he their understanding, that they might understand the scriptures, 46 And said unto them, Thus it is written, and thus it behoved Christ to suffer, and to rise from the dead the third day: 47 And that repentance and remission of sins should be preached in his name among all nations, beginning at Jerusalem. 48 And ye are witnesses of these things. 49 And, behold, I send the promise of my Father upon you: but tarry ye in the city of Jerusalem, until ye be endued with power from on high. 10 Now I Paul myself beseech you by the meekness and gentleness of Christ, who din presence am base among you, but being absent am bold toward you: 2 But I beseech you, that I may not be bold when I am present with that confidence, wherewith I think to be bold against some, which think of us as if we walked according to the flesh. 3 For though we walk in the flesh, we do not war after the flesh: 4 (For the weapons of our warfare are not carnal, but mighty through God to the pulling down of strong holds;) 5 Casting down imaginations, and every high thing that exalteth itself against the knowledge of God, and bringing into captivity every thought to the obedience of Christ; 6 And having in a readiness to revenge all disobedience, when your obedience is fulfilled. 21 Because that, when they knew God, they glorified him not as God, neither were thankful; but became vain in their imaginations, and their foolish heart was darkened. 22 Professing themselves to be wise, they became fools, 23 And changed the glory of the uncorruptible God into an image made like to corruptible man, and to birds, and fourfooted beasts, and creeping things. 24 Wherefore God also gave them up to uncleanness through the lusts of their own hearts, to dishonour their own bodies between themselves: 25 Who changed the truth of God into a lie, and worshipped and served the creature more than the Creator, who is blessed for ever. Amen. 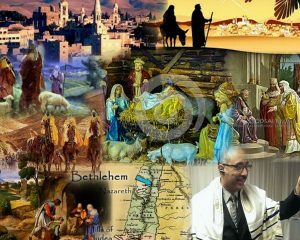 2 Now when Jesus was born in Beth-lehem of Judaea in the days of Herod the king, behold, there came wise men from the east to Jerusalem, 2 Saying, Where is he that is born King of the Jews? for we have seen his star in the east, and are come to worship him. 3 When Herod the king had heard these things, he was troubled, and all Jerusalem with him. 4 And when he had gathered all the chief priests and scribes of the people together, he demanded of them where Christ should be born. 5 And they said unto him, In Beth-lehem of Judaea: for thus it is written by the prophet, 6 And thou Beth-lehem, in the land of Juda, art not the least among the princes of Juda: for out of thee shall come a Governor, that shall rule my people Israel. 7 Then Herod, when he had privily called the wise men, inquired of them diligently what time the star appeared. 8 And he sent them to Beth-lehem, and said, Go and search diligently for the young child; and when ye have found him, bring me word again, that I may come and worship him also. 9 When they had heard the king, they departed; and, lo, the star, which they saw in the east, went before them, till it came and stood over where the young child was.